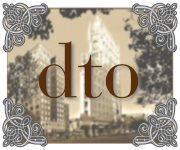 Stay up to date on the latest news regarding downtown Oaktown, a service this blog has been providing for four years now! Though the Central Business District real estate market remains in the doldrums, there are some spots of activity. The FBI signed Oakland’s largest lease at downtown’s newest office building, Center 21, reports the Business Times. The Metropolitan Transportation Commission is planning to vacate its Oakland headquarters and has put out an RFP for a office space in Oakland or San Francisco. Will Oakland keep this important regional agency, and continue to have the opportunity to provide public input on their decision-making? Marco Li Mandri, who helped create the Downtown Association’s Business Improvement Districts, is on a mission to revive ethnic commercial neighborhoods throughout California, including Koreatown on the border of Uptown. The City of Oakland is looking for photographs of bicyclists to create a series of Bike Oakland postcards. Uptown hotspot Somar Bar celebrated its two-year anniversary yesterday. Auto Row is seeing more restaurants and bars take over spaces once used for car dealerships or auto repair. The latest, 3000 Broadway, is a sports bar with a comfortable atmosphere, the Trib reports. The Oakland Museum offers a thought-provoking exhibit on the art of the Missions, where Christianity, colonization, and fine art interacted to lay the groundwork for today’s California, reviewed by the East Bay Express. Near downtown, NIMBYs have risen up to oppose a long-planned dog park on one quarter acre of Lake Merritt’s 75 acres of parkland. DrakeTalk covers the public meeting earlier this week. Like many other East Bay cities, Oakland has offered sites to be the new facilities of the Lawrence Berkeley National Laboratory. A high-rise proposal adjacent to Lake Merritt appears to be the most competitive, and is profiled by the Oakland Tribune. And on a sadder note, Sistahs Steppin’ In Pride, the annual march and gathering around Lake Merritt to celebrate women who love women, has announced that this tenth year will be the last. This weekend Oaklanders can watch a marathon throughout the city, but especially downtown. Stake our your spot at the Oakland Running Festival and cheer on the runners! As we discuss the boundaries of downtown’s districts, several recent developments attempt to answer questions about downtown’s identity, for better or for worse. The City Council unanimously approved a Broadway Transit Investment Study, which will study different approaches to creating a new transit service connecting Jack London Square to the MacArthur BART station. This study of future service, which could be anything from an enhanced version of the Broadway Shuttle to a rail system, will have to grapple with the doomed “Upper Broadway” moniker as it looks at anchoring a new district above Uptown but below North Oakland. 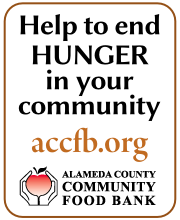 The Downtown Association, a Business Improvement District consisting primarily of commercial property owners, has installed banners around downtown in a placemaking exercise. Each banner says Downtown on one side and names a particular downtown district on the other, with color-codes that match the Broadway Shuttle stop signs. 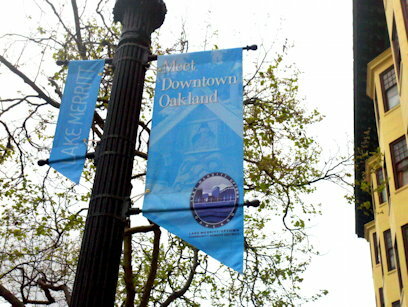 Unfortunately, the Downtown Association has not defined the districts to the level our discussion last week was aiming for: some of the signs are clearly erroneous, such as this banner reading “Lake Merritt” near the intersection of Broadway and 19th. Oaksterdam University, by anchoring downtown Oakland’s growing marijuana industry, has arguably created a new district downtown, although others would say that Oaksterdam is less of a place than a state of mind. The mural painted on their large, exposed side wall is meant to identify downtown as a distinctive place, and looks to be accomplishing that goal beautifully. Look for it to be finished in about two weeks. Next week: a new map of downtown?